St Mary’s Church of Ireland National School, Carrigaline, County Cork held a special Assembly for this year’s Women’s World Day of Prayer on Friday 7th March. 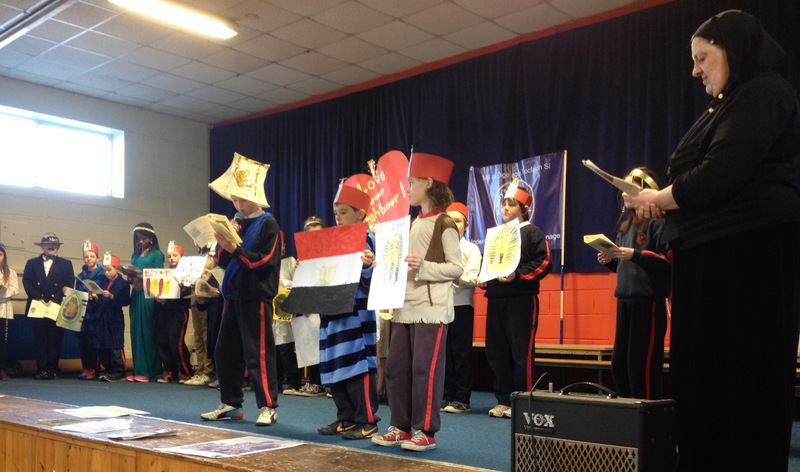 This year’s Service which was written by the women of Egypt, was led by the children of 4th Class who, along with the rector the Reverend Elaine Murray, were dressed in Egyptian style. This entry was posted in Children's Ministry, Diocese, Schools in the Diocese, Special Events. Bookmark the permalink.